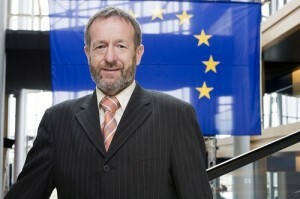 Sean Kelly, MEP and member of the European Parliament’s Industry, Research and Energy Committee, has urgently requested a meeting with Dr.Rolf Heuer, Director General of CERN, the European Organisation for Nuclear Research and the world’s top particle physics lab, to progress steps towards Ireland’s membership of CERN. Last summer, physicists working at the 27km tunnel at CERN in Geneva, made a groundbreaking announcement, that they had discovered signs of a new subatomic particle consistent with the Higgs boson, the basic building block of the universe. Ireland remains the only country in Western Europe, not to sign-up for membership of the CERN science project.